Long-Lasting Comfort Reliable comfort - all month long. HydraMax Technology Maximises hydration for comfort even in week 4. Easy to put in Subtle ‘123’ marks let you know when the lenses are inside out. UV Protection Protects your eye from potentially harmful rays. ACUVUE Vita contact lenses are designed to provide supreme comfort and hydration throughout the course of the whole month’s wear. Using Hydramax Technology™, these lenses prevent dehydrated eyes, which keeps them comfortable throughout the month. They also have a Class 1 UV filter, which means your eyes are protected from over 90% of the damaging UV rays emitted by the sun. Made from silicone hydrogel, these lenses keep your eyes healthy as a large amount of oxygen is able to travel through the lens. 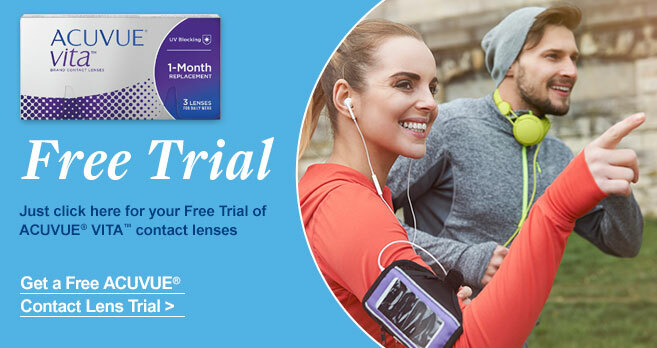 By Jean, London on 15 March 2019 Name brand, high quality contact lenses. By Paul Baxter on 11 October 2018 Good comfortable lenses. Very happy with them. By Tanya on 02 August 2018 Easy to read description. Easy to use and very comfortable. By Adela on 07 June 2018 Easy to use and great quality!